Xpert Project, Ltd. is a family-owned company serving the needs of homeowners and builders across the Greater Metropolitan Area of Chicago. We only employ the most talented and hardworking people to join our company. Our staff ensure that your home project is easy and stress free! At Xpert Project it is our mission to provide the highest quality of roofing services. We will do everything to ensure that our customers are completely satisfied with all of our work, as well as answer any questions. We are licensed, bonded and insured residential and commercial roofing company. As a GAF Roofing Contractor & Roofing Company we are Factory-Certified! 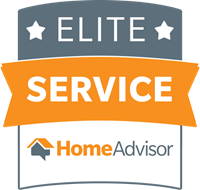 We are honored HOME ADVISOR’s badges as: Top Rated, Screened & Approved and Elite Service Contractor. We are “THE BEST OF 2016” with great rating from Thumbtack customers. Our five-star Facebook reviews are also a confirmation of our reputation.